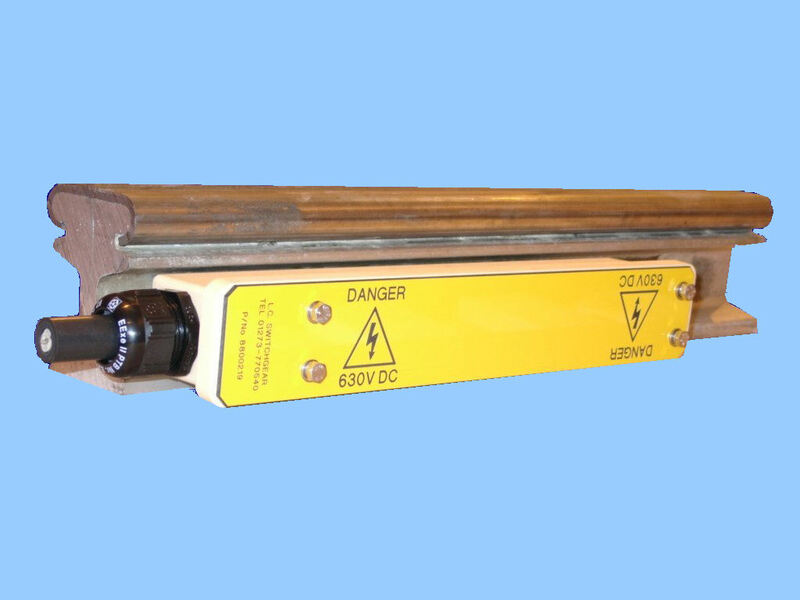 The rail mounted fuse box is a custom designed and machined composite assembly, to meet the customer specification. The fuse box houses, 20 x 127 fuses of differing current ratings depending upon the application. The box must be fixed using the mounting facilities provided on a level surface, squarely to eliminate mechanical distortion and secured with the fixings provided. The box must be mounted horizontally. The installation company must ensure that the cable entry provisions to the box maintain the specified level of ingress protection. The 1 x 4mm2 triple insulated cable enters via the gland at the end of the box. Connection is made using the screw connection to the fuse lug provided.